Ahoy, WYC! October is an exciting month for Galveston Bay Sailing with the Fifth Annual WYC Charity Regatta to Benefit the Sailing Angels taking place on October 20th. The cooler temperatures make life around the Marina and the Bay very enjoyable. It is time to leave the air conditioned comfort of our cabins and visit with neighbors on the docks. Make plans to attend the evening socials planned for the rest of the year. Visit the online calendar often so you do not miss any upcoming events. Upcoming events: Watch for and respond to evites. . Remember to check the calendar on the web site for more information on all scheduled events! https://www.waterfordyc.com/event-calendar/. Marina temperatures will be cooling by now, but WYC’s chili and fixin’s will be hot. Its more than a blind taste test, its a full meal of delicious Texas style foods. Before the event just prepare your secret recipe, or put a special ingredient to a store bought pack of fixins. Bring your crock pot and your appetite to Pavillion B on Saturday ,November 10th for a chance to be crowned the Chili King or Queen. 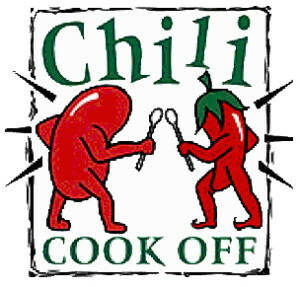 You do not have to enter chili to participate and prizes will be awarded to the chilies that receive the most votes. All votes count and no political wrangling. Sides or deserts are as welcome as chili! Be sure your bring your shopping bag and your wallet! WYC gear will be available for purchase at this event! Please be on the lookout for the following new members and welcome them to the club! Visit the website URL: http://www.waterfordyc.com for information on joining or renewing your membership. WYC’s October Happy Hour was held at Railean’s Distillery in San Leon on Friday, October 5th. The Buccaneer Bar was filled with Pirates and rum, as is only appropriate for a gathering of mariners. The costume contest was a rowdy affair with everything from well dressed pirates to those that looked like they washed up on the beach. Prizes were awarded for the best dressed pirates, both male and female. The Best Dressed Lady Pirate was Michelle Weidner with Sandy Records taking second place and Trisha Stetzel receiving the third place prize. The Best Dressed Pirate among the men was John Judas with Doug Catenaci taking second place and Daven Voorhies receiving the third place prize. Well deserved bottles of Railean rum were presented to the winners. Be very wary when encountering the pirate duo of John and Michele, they definitely enjoyed the pirates life.The bar has been set very high for our next Pirate Party. During the dinner, trophies were presented to the top finishers in both racing classes. I wish to thank you for your Leadership, and to all your magnificent team members who were instrumental in “Making Happen” your WYC’s outstanding Charitable event, in recognition of the Sailing Angels charity and those whom we lovingly serve. Your generosity of Time, Talent & Treasure made this a Super Event and the results were AWESOME … far exceeding my (and probably most, if not all) expectations! Well, the LORD Blessed us (the entire TEAM, being WYC & SA) most abundantly! We, Sailing Angels, are most grateful for your embracing us and recognizing us for the charitable service which we provide. As I said in my brief comments to the crowd on Saturday night, ‘We are most unique, and the only charity of this type in the entire USA’! We joyfully offer our service, Free, 360 days/yr., to ALL those in need’. Since we began 10 years ago, we have served more than 15,000 patrons and have never turned away a single one! This year alone, we have already served 2,300 and anticipate hosting 200-300 more by year-end 2018. In addition to my gratitude expressed above, we would like to invite you folks as well as the members in your WYC to consider joining the Sailing Angels group. We need more boats, and skilled Skippers and Crew. It requires very little of your time … and on your own schedule! Come give us a try. Tell us about your recent travels or how your boat got it’s name. We’ll see you beyond Marker 2!